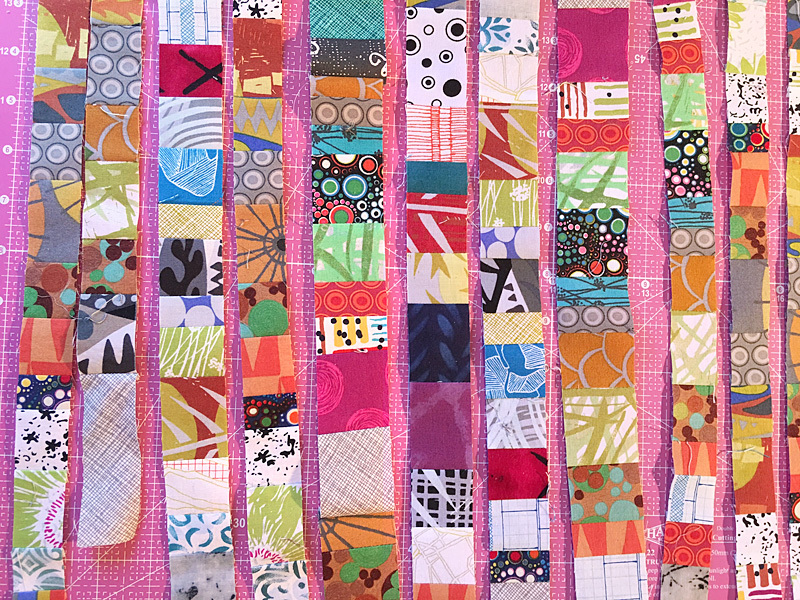 One of my latest projects is a fun modern quilt that is just back from suZquilts and ready for binding (pictured above). 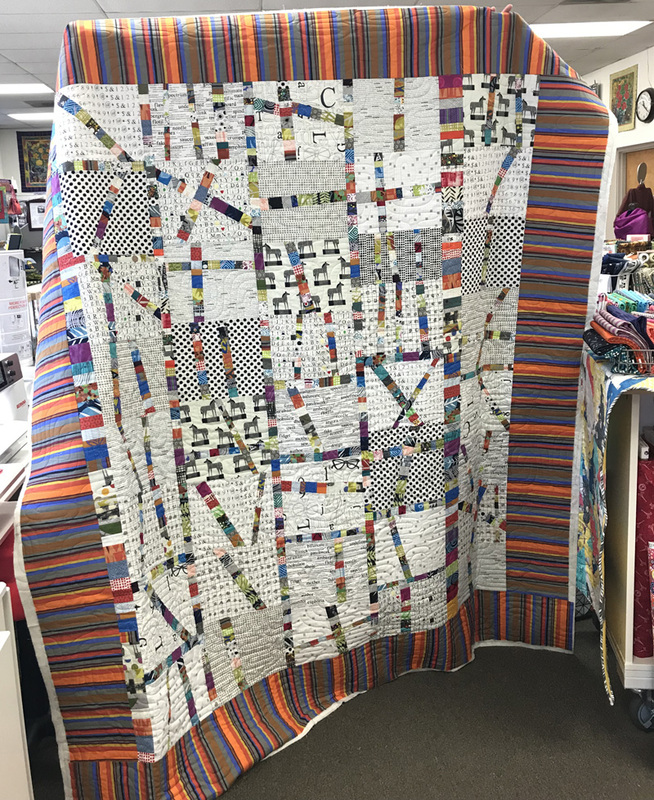 suZquilts owner Susan Bentley did an amazing job with the longarm quilting! I often profess my love for black and white print fabrics. I love them as is, and I love to overdye them too — you’ll find swatches in my Inspiration Packs, which also include hand-dyed found textiles and fibers for art quilts and other fiber projects. 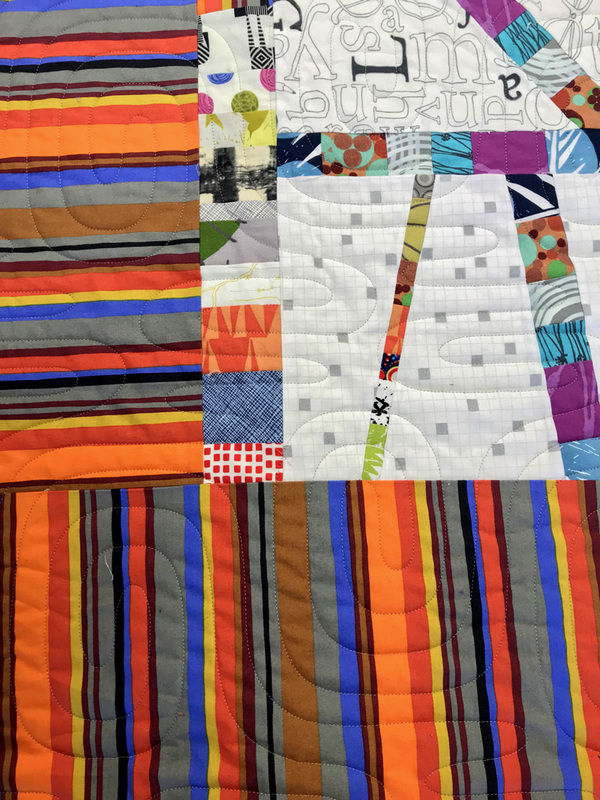 For this quilt I left my graphic black and white prints alone and added color with long strips that were pieced from coloful fabric scraps (above) from my stash. 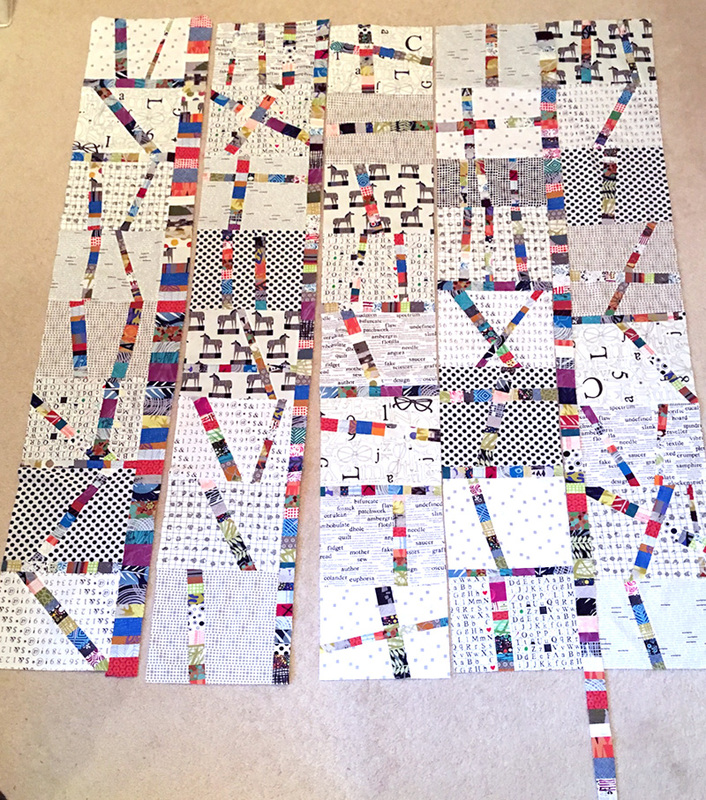 I began by freehand cutting strips (including some of my black and whites) and sewing them together randomly to create larger pieces of fabric. 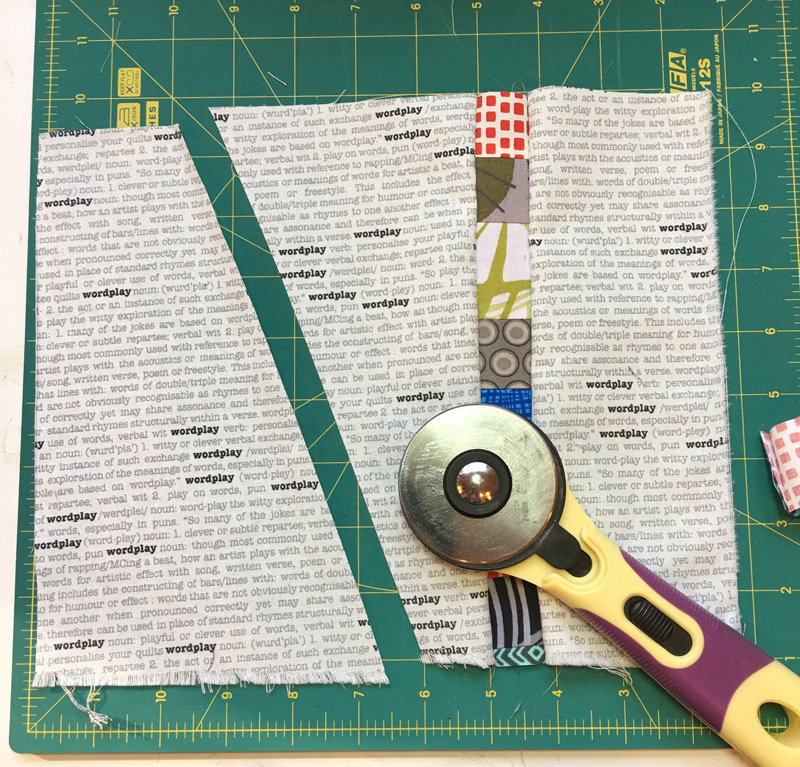 I embraced the wonkiness and worked without rulers or stitching perfectly straight lines. You can see at the bottom of the photo above that I was able to use strips that weren’t all the same length — nothing goes to waste. 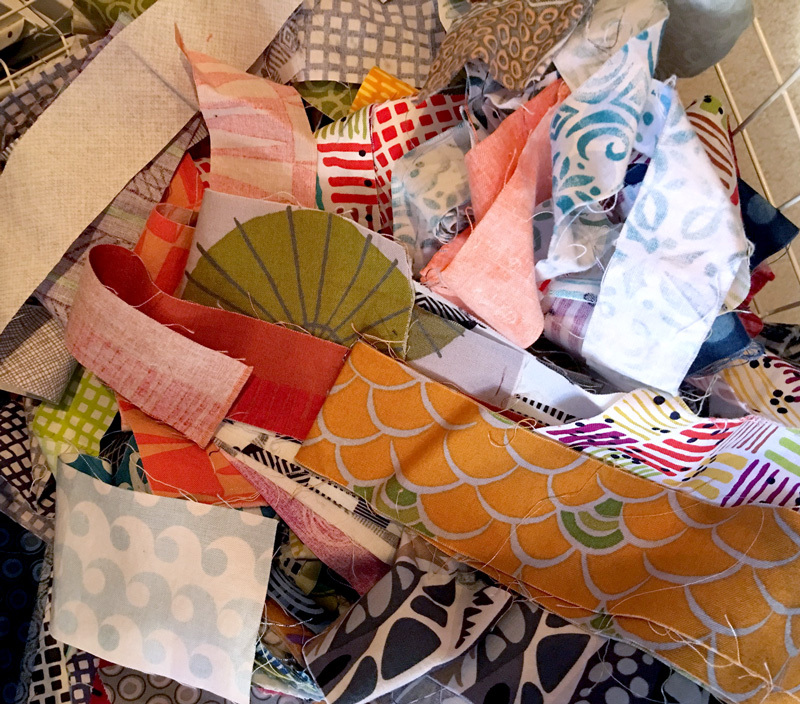 My cuts from the pieced fabrics were also free-hand and random, resulting in different widths. 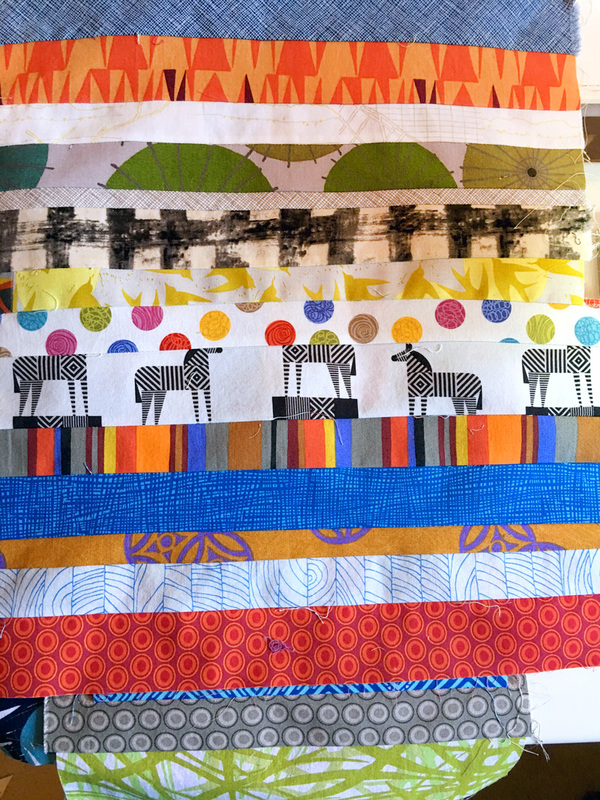 You can see the variety of fabric used, but I did focus on my modern cottons stash versus the batiks and Australian Aborigine-designed fabric I often gravitate to. 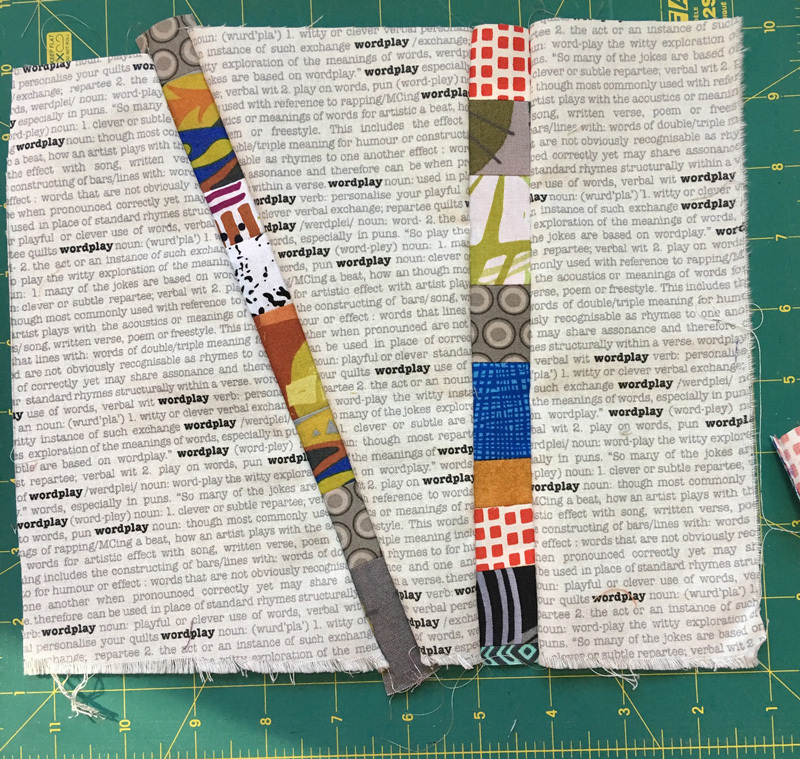 Working improvisationally, I sliced my black and white fabric blocks (not perfectly square and again, different sizes and widths) and sewed my colorful strips in. I don’t think any two blocks are the same — some have one strip, some two or more, some strips intersect — and there’s a wide variety of angles involved. As you can see in the photo above, I also didn’t worry about having each block the same height. I played around with the blocks until I had a layout I liked. 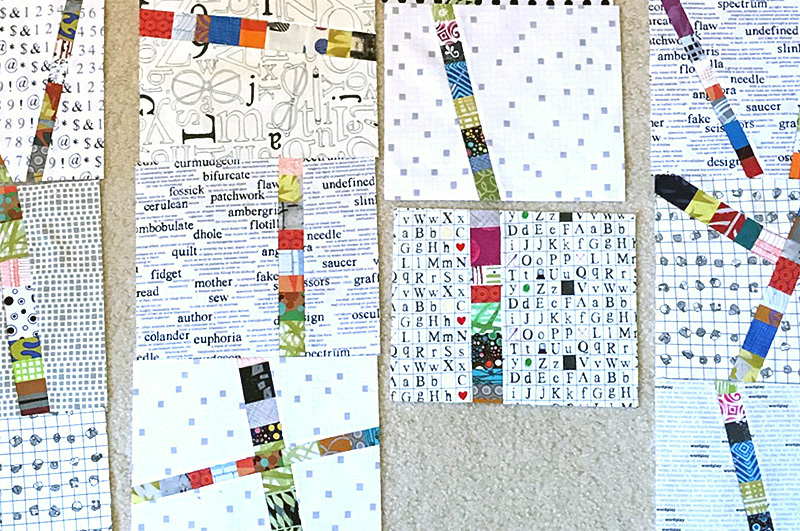 I had so many scraps pieced into strips that I was able to inset vertical rows of them too. 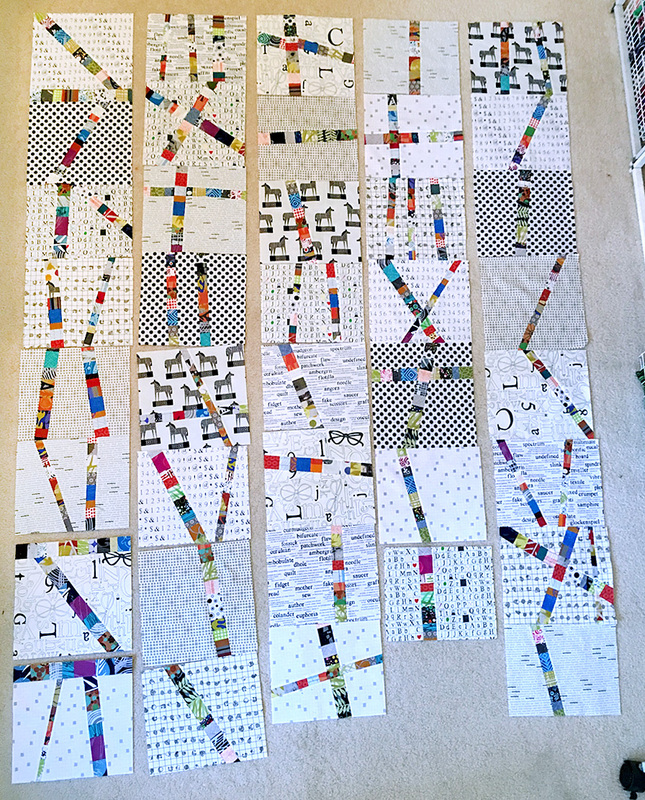 Most of my work are small art quilts or medium wall hangings, so working large for bed-size quilts is still somewhat rare for me. I love how this came together! 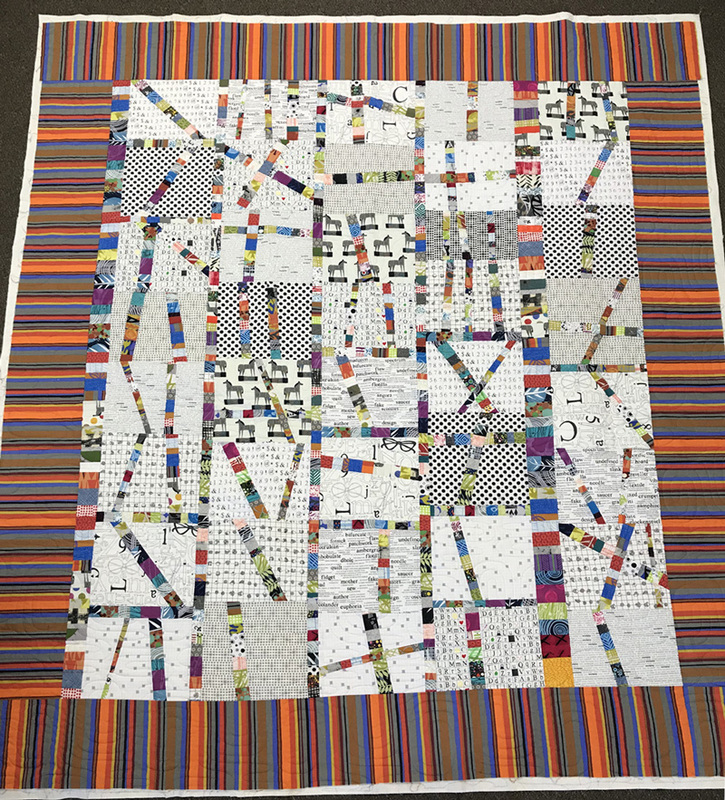 The striped fabric worked perfectly for the border — it continued the look of the colorful inset strips without the time necessary to piece them. 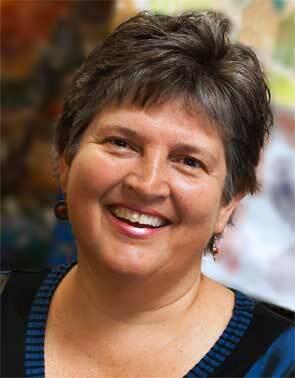 This closeup also lets you see the beautiful quilting by suZquilts. This freeform, improv method of construction was a lot of fun and I love my final result. Give it a try! Totally going to copy this one–I have tons of the same ingredients! 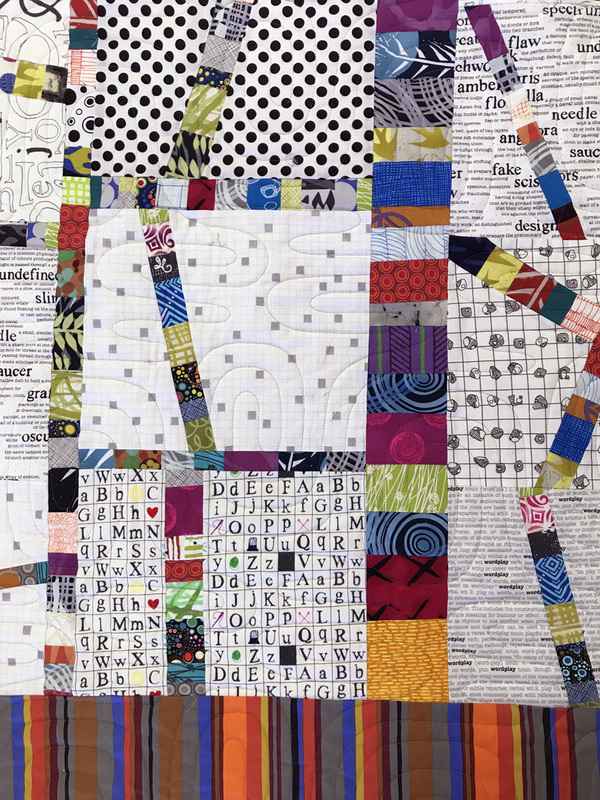 This is a wonderful quilt! I am totally in love with this. I have so much potential fabric from all the thrift store rejects. Have to do this. One strip at a time.